The secretin receptor was the first Family B GPCR that was identified . It was soon followed by the identification of the receptors for calcitonin and parathyroid hormone -43, 44] . with their sequence similarities defining this receptor family. All the receptors in Family B have moderately large natural peptide ligands that have diffused pharmacophoric domains. The amino-terminal region of these peptides is typically necessary for receptor activation, while the carboxyl-terminal region is typically necessary for high-affinity binding -45] . All of the Family B receptors have long amino-terminal tail regions in excess of 120 residues that incorporate six conserved cysteine residues that form three conserved intradomain disulfide bonds . This domain of Family B GPCRs has been shown to be critical for natural ligand binding, providing a structural platform for the peptide interaction . The sequences within the transmembrane segments that are typical of Family A GPCRs are absent in Family B GPCRs, although these receptors are also predicted to form a heptahelical transmembrane bundle  . Sequence analysis has predicted the structural features of the Family B GPCR helical bundle to be quite different from that of Family A GPCRs . The secretin receptor is prototypic of this family in each of its structural and functional characteristics. The secretin receptor has been shown to form homo-oligomeric complexes, utilizing BRET, FRET, saturation BRET, morphologic FRET, and BiFC [28, 37, 50-53] . These complexes have been shown to form constitutively  as they traverse the biosynthetic machinery . Some typical data to support such complexes is illustrated in Fig. 6.2 . When on the cell surface, these complexes are quite stable and are not affected by secretin binding and receptor activation . Of note, the secretin receptor has also been shown to be able to form hetero-oligomeric complexes with almost all Family B GPCRs  , yet has not been shown to form such complexes with GPCRs in Family A . Clearly, there is structural specificity that determines which receptors are capable of associating with the secretin receptor. Figure 6.2 Study of secretin receptor oligomerization by BRET. Left panel shows that even at low levels of receptor expression, BRET ratios were significant, with these increasing in a linear manner with increasing amounts of donor (HSecR-Rlu) and acceptor (HSecR-YFP) expressed in COS cells. Right panel shows BRET ratios for COS cells expressing the donor (HSecR-Rlu) and acceptor (HSecR-YFP) in the presence of increasing of concentrations of the natural agonist ligand, secretin. The shaded area represents the nonspecific BRET signal that can be generated between Rlu-tagged receptor and soluble YFP protein or between YFP-tagged receptor and soluble Rlu, with BRET signals above this area considered to be significant. Secretin, at concentrations as high as 1 |M, had no effect on secretin receptor BRET ratios. 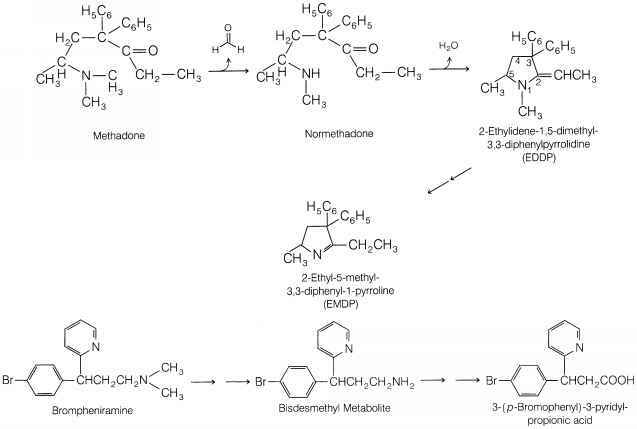 with the p2-adrenergic receptor , peptides corresponding to the predicted transmembrane segment peptides were utilized in an attempt to compete for the receptor oligomerization  . Of note, from all of the segments studied, only one of the transmembrane segment (TM4) successfully competed for the secretin receptor BRET signal, and this competition was absent even when all the other six transmembrane segment peptides were used in combination. This supported the importance of transmembrane segment four in secretin receptor dimerization. By mutating residues on the receptor that corresponded to predicted interhelical faces or the lipid-exposed face, it was suggested that the lipid face represented the relevant determinant of oligomerization . This was then confirmed by introducing mutations into the lipid face of transmembrane helix four of the intact secretin receptor, and observing that this construct did not associate with itself, as reflected in the BRET assay . Again, the specificity of this observation was carefully confirmed with saturation BRET experiments. This unique construct has also been quite useful for generating insights into the functional effects of dimerization of the secretin receptor, as there was a clear functional defect, with reduced cAMP stimulation, in the nondimerizing mutant . It was noteworthy that only the transmembrane region of the secretin receptor appeared to be important for receptor oligomerization, and that only one of seven transmembrane segments appeared to be involved in this process. If the secretin receptor were involved in a high-order oligomerization complex, there would be the expectation that more than a single transmembrane segment interface would be critical. This led to the hypothesis that the secretin receptor was involved in a dimeric complex, rather than a higherorder complex. Additional studies were performed to experimentally test this hypothesis. One creative approach utilized BiFC, with receptors tagged with each of the component halves (YN and YC) of YFP . When the non-fluorescent constructs were coexpressed in the same cells, the secretin receptor dimers formed and reconstituted an intact YFP that produced the characteristic fluorescence of that moiety. The YN/YC complemented secretin dimer provided a fluorescence acceptor for BRET studies with other secretin receptor constructs tagged at the carboxyl-terminal tail with Renilla luciferase (Rlu). However, coexpression of Rlu-tagged secretin receptor fluorescent donor with the reconstituted YN/YC secretin receptor acceptor dimer did not yield a significant resonance transfer signal. This experiment was repeated with secretin receptor constructs in which the Rlu or cyan fluorescent protein (CFP) was incorporated into each of the intracellular loop regions of the secretin receptor. These also failed to generate significant resonance transfer signals, suggesting that higher- order oligomers of the secretin receptor do not exist . It will be important to extend these observations to further examine the molecular nature of the secretin receptor homodimeric complex, carefully mapping the interface and determining if this changes with activation. Such studies have recently been performed for Family A GPCRs, including the dopamine D2 receptor  . the serotonin 5-HT4 receptor , and the serotonin 5-HT2C receptor  . Similarly, it will be critical to carefully examine the function of dimeric complexes of Family B GPCRs. Everything to date suggests that these studies will identify unique and important themes. It is remarkable that almost all other members of Family B GPCRs were shown to be capable of association with the secretin receptor . Of the nine receptors tested, only the human calcitonin receptor did not yield a significant resonance transfer signal. Assuming that the fourth transmembrane segment might be the relevant determinant for this oligomerization, as it was for the secretin receptor, the human calcitonin receptor that was studied was found to have two differences in lipid-facing residues that were not present in other Family B GPCRs. Of interest, these residues were different in the rabbit calcitonin receptor, and, indeed, that receptor has been shown to form homo-oligomeric complexes . While more work is clearly necessary to sort this out, it could provide further support for a common structural determinant for dimerization of receptors in this important family.